Autumn is my favourite season. Why, I hear you ask, well summer is always just a bit too hot and Winter is always a bit too cold, whereas Autumn strikes the balance perfectly, and it is just so darn colourful with those reds, oranges and browns, that one cannot help but fall in love with the season. Where summer and spring bring life and growth, autumn is the transitionary period that takes it away, making room for the barren and empty feeling of winter. Oh, that all sounds a bit moody, doesn’t it? Moody it may seem, but autumn is easily the most beautiful and joyful of the seasons, not just for the colours but for the odours too. The air feels crisper and is tinged by the smell of chimney smoke and damp leaves. The food we eat becomes warmer too, with rich spices and soft squashes becoming the tastes du jour. Tis a season of sensory feasts! We also cannot forget the perfumes either, and as the leaves start to fall one must stash away those summer florals and colognes, and dust off those autumnal favourites that permeate the season. In this post, I’d like to show you some of my most-loved autumn fragrances. Some are new, whilst others are old standards, and even classics, but all are beautiful odes to autumn through the medium of flowers, woods and fruits. Floral perfumes are often associated with the summer months due to their generally sunny and joyful disposition, but they can also be wonderful in a more autumnal setting thanks to the colour and warmth they exude. In autumn, the dizzying and narcotic plumes of jasmine, orange blossom and tuberose et al, take on a more comforting and homely character. One flower that always smells autumnal is iris. Iris never comes across as a particularly floral note, instead evoking the image of cool grey earth and vegetal roots. Perhaps the best use of iris in a fall setting is Jacques Guerlain’s melancholic Après L’Ondée (After the Rain), a fragrance that, through the aloof and cool notes of violet and iris, perfectly captures the olfactory equivalent of a crisp autumn morning. The cool dew on the violets draws out the minerals from the earth, accented by iris powder and warmed by the soft vanilla of the morning sun. It’s a beautiful picture of autumn, painted by one of the world’s most talented noses. 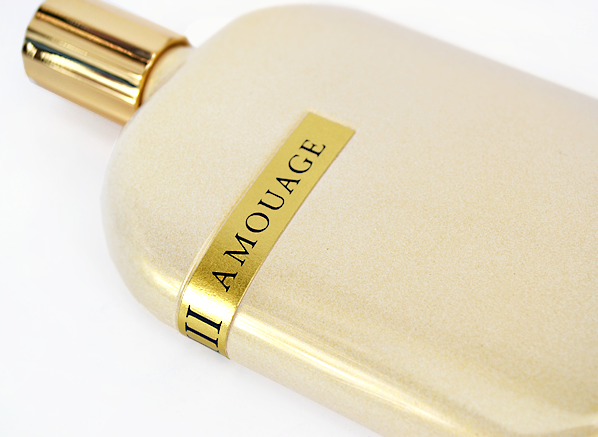 For a warmer floral this fall, one cannot go wrong with Amouage’s resplendent Opus VIII – a showstopper of a floral in a line of perfumes that are all remarkably iconic. In Opus VIII, the hot breath of the jasmine flower is given surprising lift and weight to create the feel of a plush velvet curtain. Incense adds a metallic sheen that paints the fabric in a delightful shade of silver, hinting at an almost theatrical and operatic signature – it is truly luxurious. The autumn season is so inextricably linked with the life cycle of trees that woody fragrances are pretty much a given, and when it comes to this genre one has plenty of choice. Oddly, the two fragrances I have selected are both ouds – a fragrance note that is usually associated with the middle east however, in these two perfumes the note comes across as warm and comforting. The first of my autumn-esque ouds is an old favourite; M7 Oud Absolu by Yves Saint Laurent. Originally launched under the creative direction of designer Tom Ford in 2002, M7 is reportedly the first mainstream designer perfume to use an oud note, long before it became the ‘in thing’ to do so. M7 was re-launched in 2011 as M7 Oud Absolu and whilst coming across as a little thinner, it captures the cosy warmth of the original almost to a T. What makes M7 so enjoyable is a medicinal oud note that is blended with fluffy woods and vanilla to create a decidedly auburn feel. There’s also an off-centre fruit note up top that makes it wonderfully weird. M7 is an oud that captures the reds, oranges and browns of autumn, and smells absolutely delicious whilst doing so! 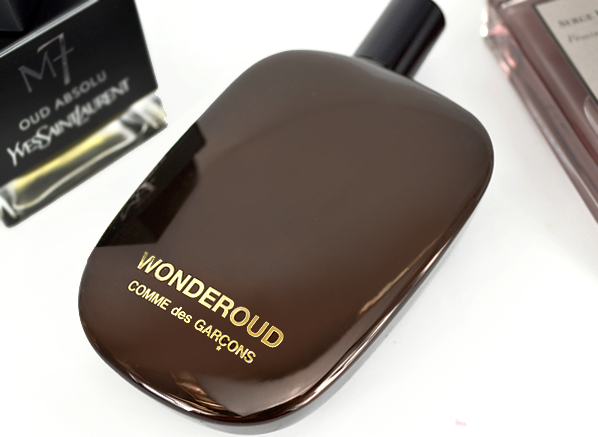 A more recent woody oud is Comme des Garçons’ Wonderoud. In my review of the fragrance, I described it as displaying “a plethora of woods, in varying shades and textures” and that is the reason why I have selected it for this autumn fragrance round up. Wonderoud smells like a higgledy-piggledy forest of trees, many of which are different species, shapes, sizes and smells. It has a remarkable sense of contrast, providing elements of dark and light, as if one is walking under a thick canopy of trees and stepping in and out of the shade. This one may not be as ground-breaking as M7 Oud Absolu, but it sure is enjoyable to wear. Autumn is the season of bold and warm fruits – fruits that are tart and strongly coloured, spiced and almost edible. Perhaps one of my favourite takes on warm fruits is Calvin Klein’s Euphoria, a fragrance that falls into the category of ‘wonderfully trashy’ (a complimentary term, I assure you). Euphoria boasts bold pomegranate and persimmon notes that are fleshy, sweet and a little bit dirty. Patchouli adds to this filth effect, giving Euphoria a hint of sweaty skin leading one to feel as if they are partaking in a ‘roll in the hay’ during the fruit harvest. Euphoria may be derivative of Thierry Mugler’s Angel, and therefore is nothing ‘new’, but it does present the idea of vibrant fruits and patchouli in an exceptionally enjoyable package, and if you’re in the market for the olfactory equivalent of a raunchy orchard, then Euphoria is pretty spot on. My next choice for autumnal fruits is Féminité du Bois by Serge Lutens. Now, this one could have sat comfortably in the wood section as it famously displays a feminine cedar note however, it is also an enjoyable take on purple plums. Together, the woods and fruits in Féminité create a defined sharpness that feels entirely angular. 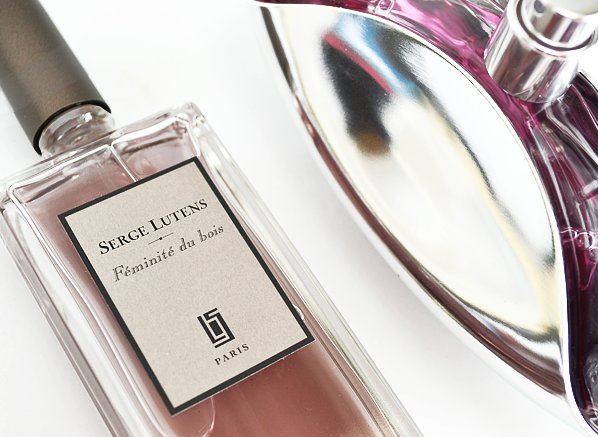 There is a degree of softness as the fragrance progresses, but ultimately Féminité du Bois is a linear expression of the sharp lines and shapes favored by Lutens in his make-up and photography work. If you’re looking to smell completely couture this season, then Féminité du Bois is the fragrance for you. A very unusual and not very easy to source perfume, Apres L'Ondee is a very grown up perfume. It is not at all like the fruity, floral, zesty perfumes that are popular now. It is, I suspect, an accquired taste. The search for the unusual signature perfume is the raison d'etre of many a perfumista and Apres L'Ondee may well be the end of the rainbow for many. Escentual is one of only a few places selling this almost rare perfume. Price and service were excellent. This entry was posted on Monday, October 6th, 2014 at 4:43 pm and is filed under Candy Perfume Boy, Fragrance, Men. You can follow any responses to this entry through the RSS 2.0 feed. You can skip to the end and leave a response. Pinging is currently not allowed. I swear I have dreams about Apres L’Ondee. I might run around all over town with other scents but it’s my soul mate. I always go home to it. How lovely. It’s wonderful when you find that perfect fragrance, isn’t it? Mine would be Angel. My favourite autumn fragrance has to be “Tilda Swinton Like This” by Etat Libre D’Orange. A beautiful concoction of earthy, rainy, bitter orange and brown autumnal spices. Very seasonal! Oh yes, it’s one of mine too!